What Are Protective Floor Systems? Enhance Your Place With Epoxy Flooring! Over the years, our epoxy flooring pros in Orlando have installed top-quality floor systems in restaurants and kitchens across the state. We have the training, equipment, and expertise needed to provide a lasting shine that keeps both your guests and your employees happy. Our flooring contractors can install a new floor that is hygienic, and built to last for many years of heavy traffic. What kind of epoxy flooring is ideal for your restaurant? Whether you have a simple bistro, an elegant nightspot, or a comfortable cafe, you know that the flooring performs two functions. First, it works in tandem with the music, wall art, and the food itself as a part of the overall aesthetic experience for the diner. It’s one aspect of the atmosphere that, if it works with everything else, will keep people coming back. The second function of epoxy flooring is simple: it keeps maintenance costs low. Your flooring should be easy to clean on a daily basis, resistant to the regular traffic of food carts and feet, slip-resistant to prevent injuries, and be sanitary in order to pass inspections by the health department. To do all that, your flooring needs to be industrial strength, but without an industrial look. 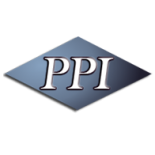 With decades in the industry and over 15 years in business, PPI Flooring of Orlando is the clear choice for providing installations, maintenance services, and protection for epoxy floor coatings. Concrete meets or exceeds every expectation you have for restaurant flooring, from protection for spilled drinks behind the bar to withstanding years of heavy traffic at the entrance. We even offer coating solutions to make your floor slip-resistant while still providing an image that’s top-shelf. We also understand that, when it comes to installing epoxy flooring in your restaurant, scheduling can be extremely tight. If you’re preparing for a grand opening, the job absolutely must be done on time. If your facility is already open, your business will be crippled if more than one section is closed off. As bonded and insured professionals, we earned our reputation by tackling the most difficult and technically challenging flooring projects and consistently finishing on time while guaranteeing the satisfaction of our clients. Ultimately, the flooring of your restaurant needs to be installed correctly, quickly, and provide you with years of reliable service. We’ll make that happen. For more information, or to schedule an assessment, contact us today. © 2017 PPI Epoxy Floor Coatings LLC.